Originally published in the “Big Sandy Mountaineer”, October 22, 2014. In the bottom drawer of my toolbox, there is a 4 foot long piece of steel pipe. It is exactly the right size to fit over the handle of my socket wrench. Though it is not a proper tool, I have used it more times than I can explain. It has been used to add leverage to my wrench and break a stubborn bolt free. I have used it to pry down the control arm of a Honda while installing a ball joint. I once used it to lift an engine off its lower mount. I even used it to pry a tire off of a car after the rim had rusted in place. Though it’s not a tool, my “cheater bar”, as they are usually called, is by far one of the most versatile and useful items in my toolbox. In a similar way, one of the most useful marital tools I have discovered isn’t exactly a tool or a technique. It is a strategy. The strategy is simple, though counterintuitive: Don’t win. I have noticed that many married couples, myself included, take the opposite strategy. When an argument begins, they set out to win. This is a pretty natural response to conflict. We try to win. When we argue, we employ strategies that help us prove our point, gain the moral high ground, undercut our spouse’s position, and often times we try to hurt each other. Both participants cease, for a time, to look at each other as partners, instead seeing each other as opponents. 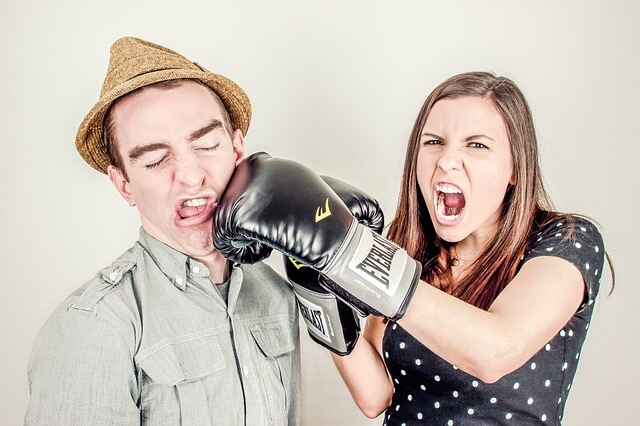 The problem that arises with one spouse winning a fight is that the other one loses. Though, more often, rather than producing a winner or loser, fights end in a draw. This leaves both sides wounded and entrenched. The resulting hurt and damage to the relationship may not be major, but it is present. Marriages don’t end after a single fight, instead dying deaths of a thousand cuts. The “win the fight” strategy is a losing proposition in the long term, resulting only in two individuals who are convinced that they are right in the relationship issues, and both of them alone. The strategy that solves this problem is simply working toward not winning. Couples who learn to see each other’s point of view and compromise. This requires a constant and intentional remembering that you love each other and are on the same side. Every problem, issue, or disagreement that arises is either a battle to be fought together or an opportunity to grow stronger in the relationship through communication and mutual submission. This works best when both partners agree on the strategy, but can be effective with only one partner approaching the marriage with this strategy.